What are your summer traditions? For us, we spend the majority of our summer at the pool. We also really enjoy cooling down after spending those fun days in the sun. Our local pool has a snack stand, but if we constantly buy from there, that can add up quick. So, I just promise the kiddos a cool treat when we get home – ice cream sandwiches! It not only works out for my wallet, but it keeps the kids cool and happy, too! 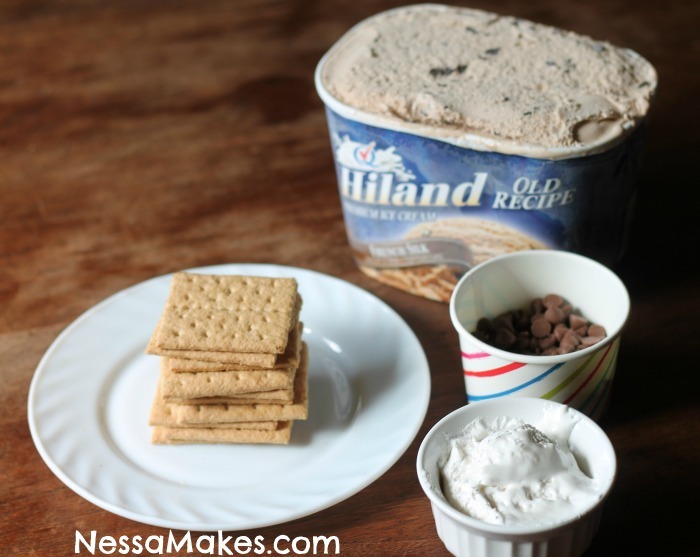 I came up with two really fun and easy recipes incorporating Hiland Dairy Ice Cream. Both are summer-inspired and so delicious! The first one is an easy red, white and blue ice cream sandwich. 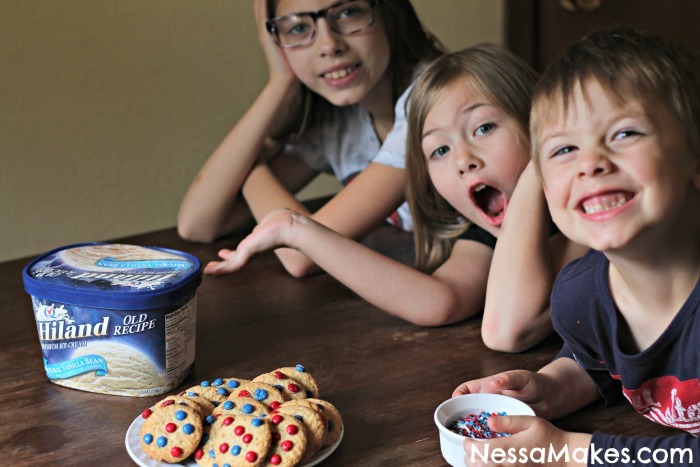 To make this recipe, you’ll buy or make a dozen cookies with patriotic candies. 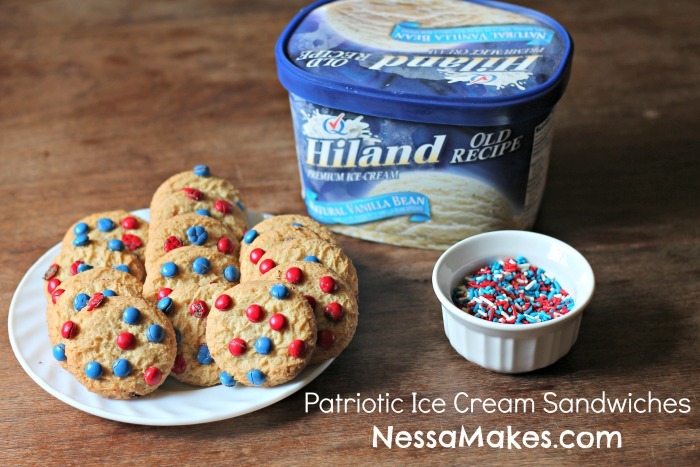 Then, add a scoop of Hiland Dairy French Vanilla Ice Cream and add a second patriotic cookie to make a sandwich. 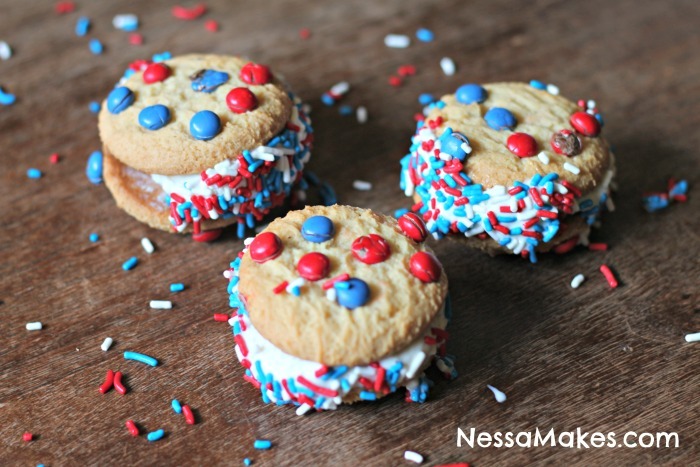 Quickly take the patriotic cookie and roll it in blue and red sprinkles. That’s it; you’re done! I personally love this next recipe. It’s a frozen version of our favorite fireside dessert. 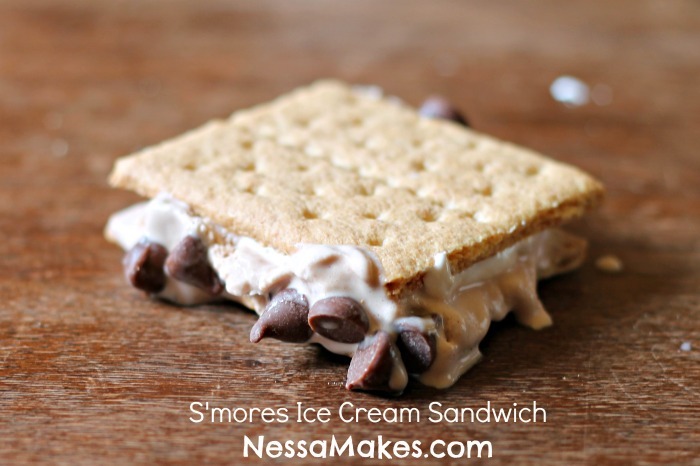 S’mores ice cream sandwiches! Sandwich Hiland Dairy French Silk Ice Cream and marshmallow creme between two graham crackers and roll in chocolate chips. It’s perfection! Check out my video for these tasty summer treats on Facebook. The kiddos really enjoyed making their own sandwiches, but they enjoyed eating them even more! Plus, it was easy for them to do. 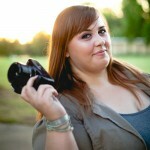 It definitely takes a little bit of work off mom … and she’s OK with that. Not only did I want to show you these two easy recipes for summer, but I also wanted to tell you that you can enter to win a FREE family trip to Silver Dollar City in Branson, Missouri! This includes passes to the park, money for food and a place to stay for a couple of days. 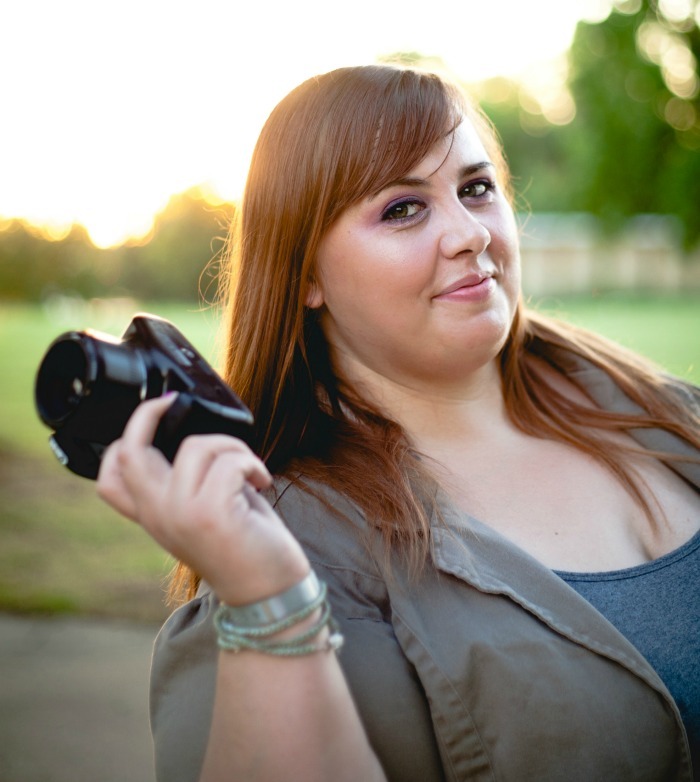 It’s a fun place for everyone, and to go there for free is icing on the cake! Be sure to enter soon. Tell me, what is your favorite ice cream? Let me know in the comments below! And, let me know if you try either or both of these recipes and tell me what you think! I always appreciate feedback.